Connected to Route 24 is none other than Route 25. 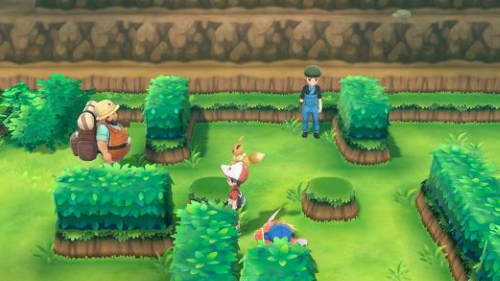 On top of being able to find loads of Wild Pokemon here, there will also be a maze full of trainers looking to battle. At the end of Route 25 is Bill's House, the creator of the Pokemon Storage System. He has turned himself into a Pokemon, and he needs your help turning himself back to normal. By doing so, he will give you a pair of tickets to board the S.S. Anne. After defeating the Elite Four and starting the Master Trainers Challenge, you will find just one Master Trainer on Route 25 that you must defeat.